The Revolution bring you Purple Rain! 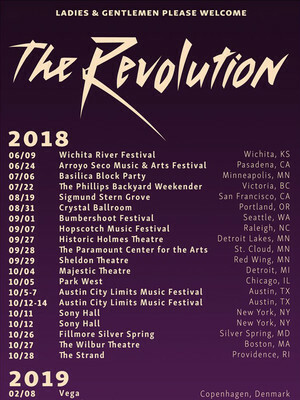 One of Prince's most iconic supporting bands, The Revolution, reunite in 2018 to bring the magic of the late legend to fans across the States! After hearing about the tragic loss of the innovative and era-defying Prince back in 2016, The Revolution retreated from the public eye in order to grieve and remember the trail blazing artist that brought them together. Now two years later the super-group reunite to bring the infamous Purple Rain to Prince fans everywhere! 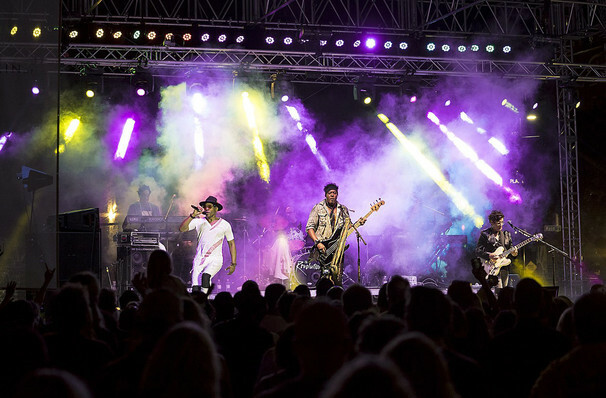 Supporting Prince though his stratospheric rise to stardom with the age defying hit Purple Rain, The Revolution have always been seen as the stars most celebrated backing band. After touring Purple Rain the band went onto to continue to back Prince, providing the music on both 'Around the World In a Day' and 'Parade'. Although Prince then moved onto collaborating with others the group stayed in touch with the star, even talking of reuniting back in 2014. Unfortunately their plans never came to fruition but the group continue to carry the torch for Prince for many years to come! Sound good to you? Share this page on social media and let your friends know about The Revolution at Mcmenamins Crystal Ballroom. Please note: The term Mcmenamins Crystal Ballroom and/or The Revolution as well as all associated graphics, logos, and/or other trademarks, tradenames or copyrights are the property of the Mcmenamins Crystal Ballroom and/or The Revolution and are used herein for factual descriptive purposes only. We are in no way associated with or authorized by the Mcmenamins Crystal Ballroom and/or The Revolution and neither that entity nor any of its affiliates have licensed or endorsed us to sell tickets, goods and or services in conjunction with their events.